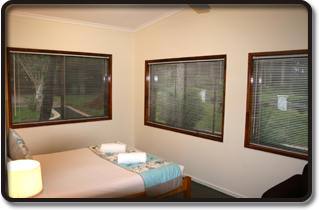 Our open plan, Garden Apartments are self-contained. They have a queen bed, and other bedding to accommodate 4 or 5 guests. 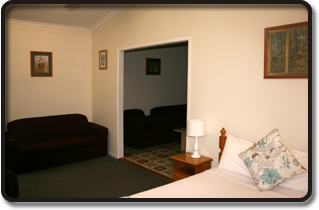 A kitchenette with small fridge, microwave, plug in hotplates, electric fry pan and other plug in appliances are provided. These apartments open directly onto the lawn and garden areas and offer easy access to the pool, B-B-Q and excellent views. Off street parking is located a few meters from your apartment. Friday and Saturday nights are $115.00.